Herein is a record of worthy deeds of the people and friends of Ealdormere. 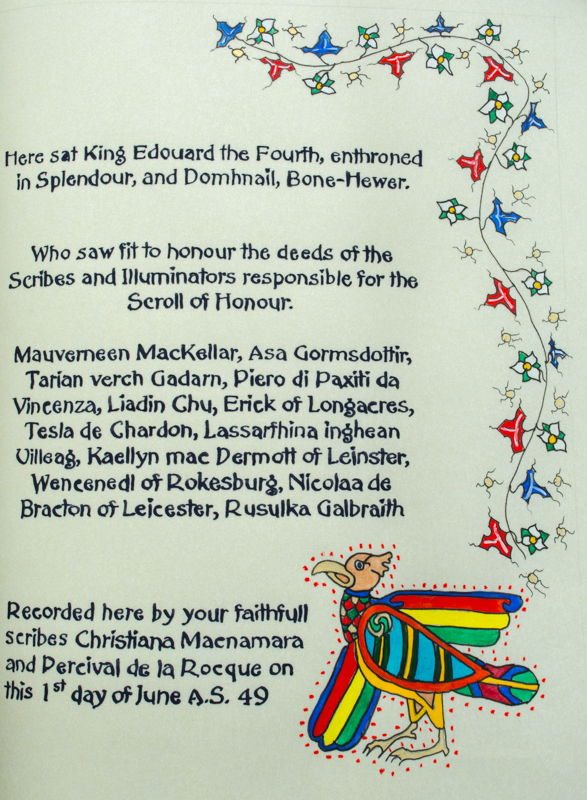 Such worthy deeds may include, but not be restricted to, the receipt of any Kingdom awards. The names of those accomplishing such worthy deeds shall be entered fittingly on the Scroll of Honour at the discretion of the Crown. 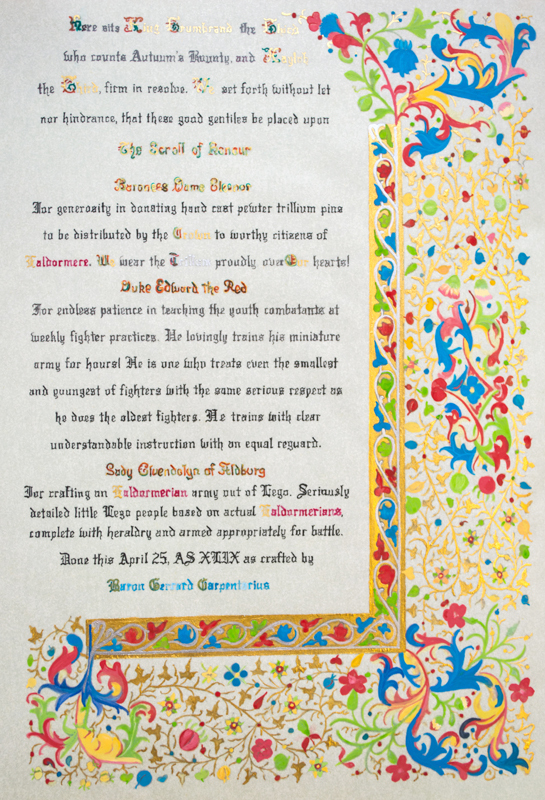 Below are digital versions of each page. 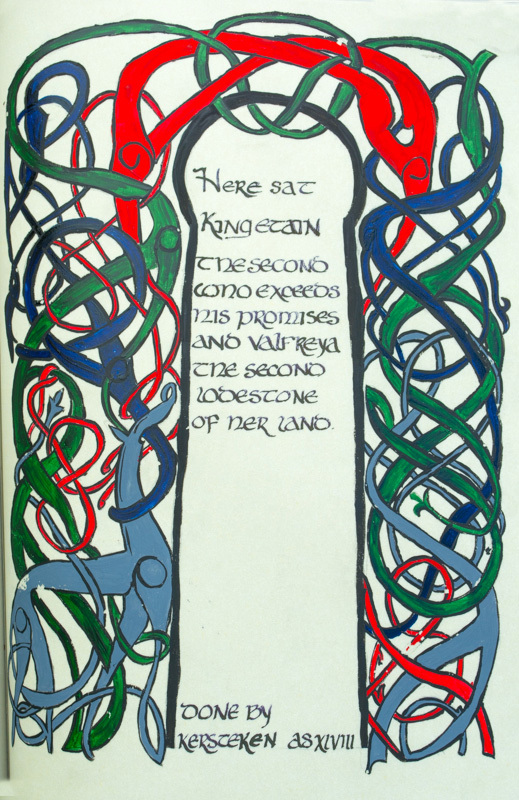 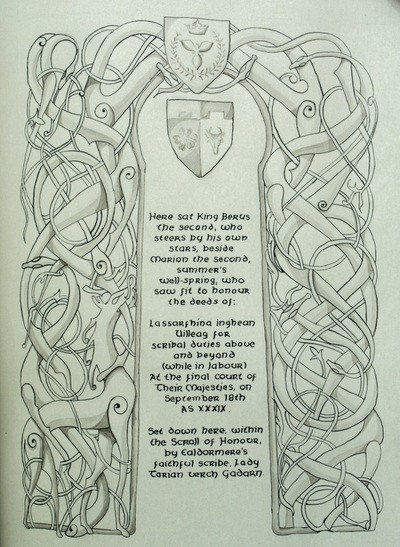 Scroll pages for both reigns of Nigel and Adrielle and the reign of Siegfried and Ragni are currently under production and will appear here when complete. 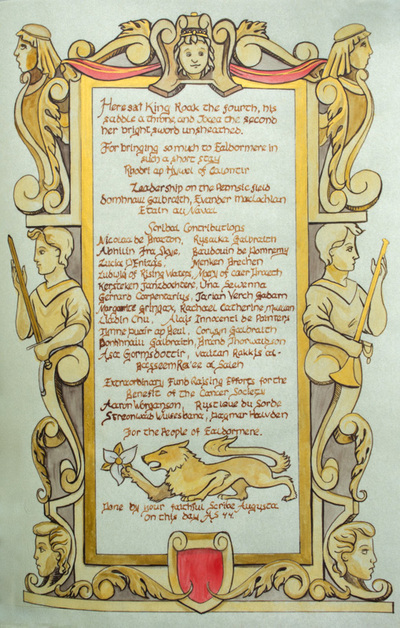 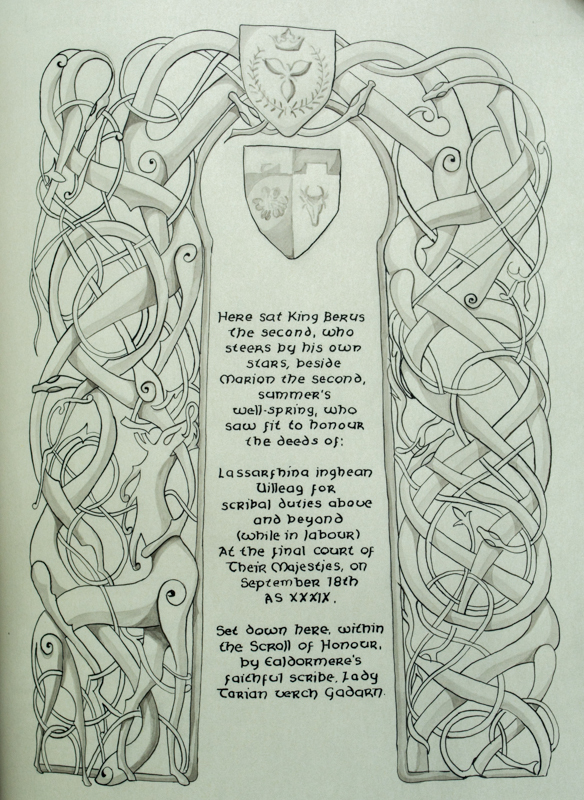 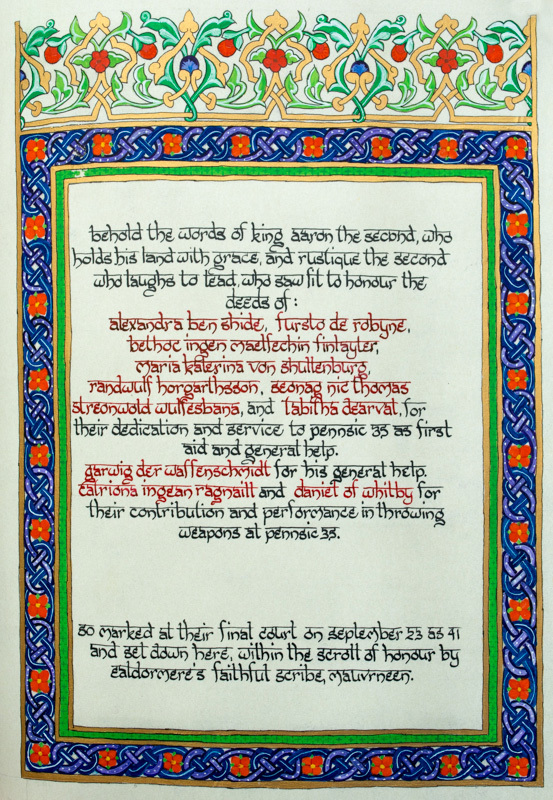 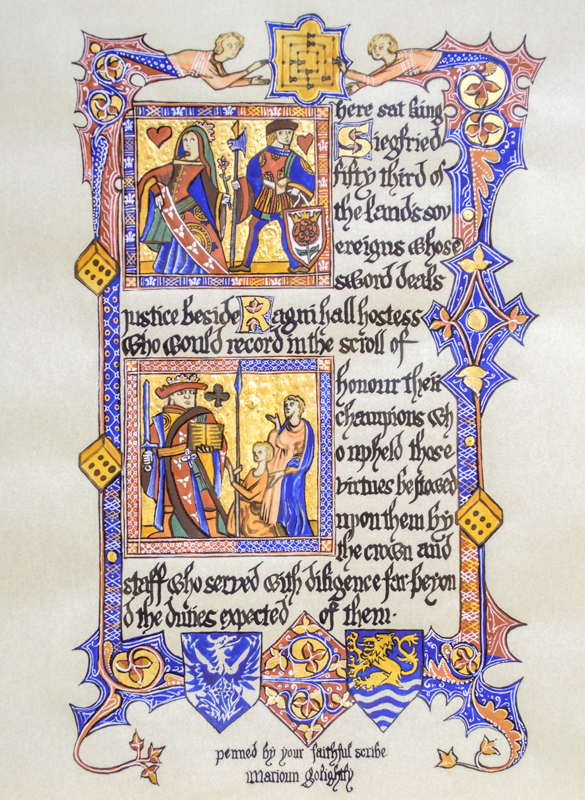 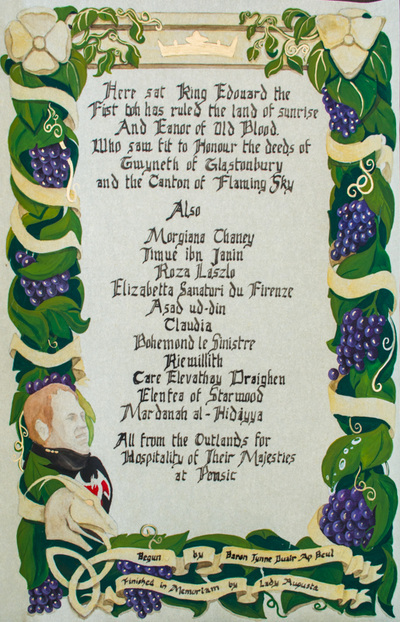 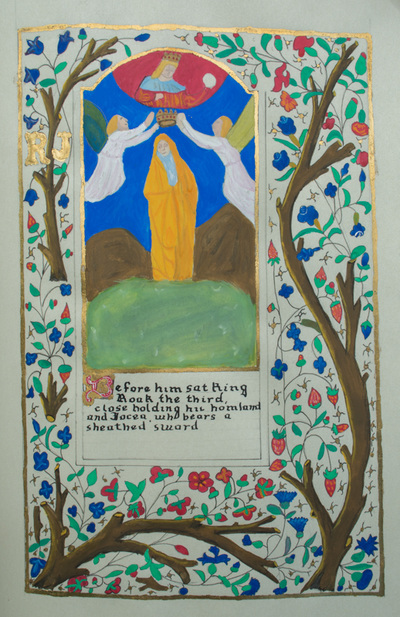 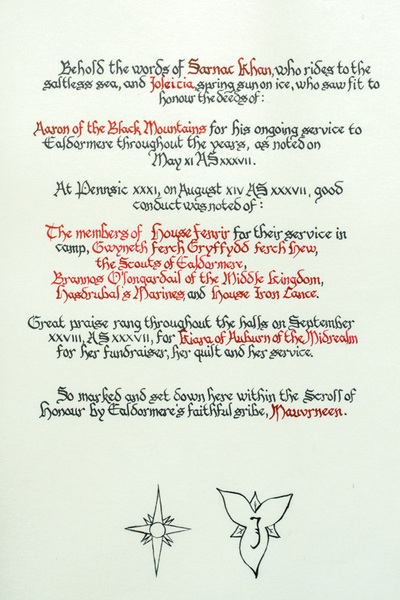 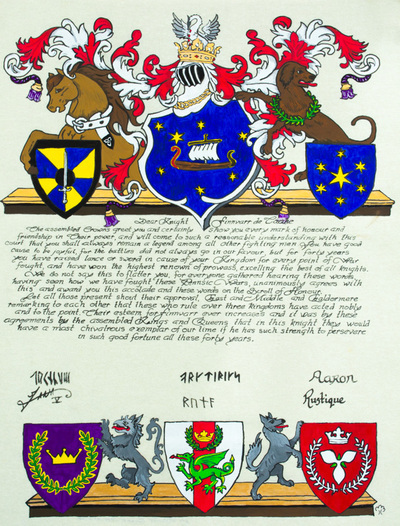 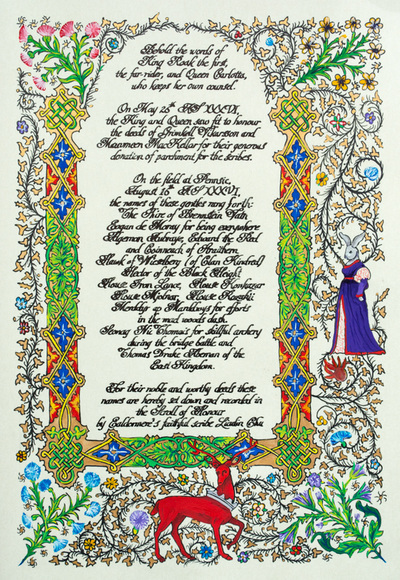 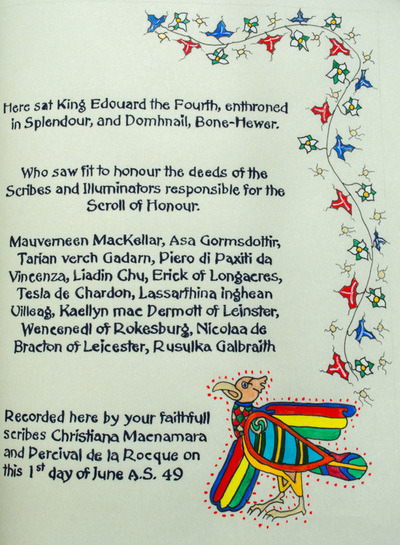 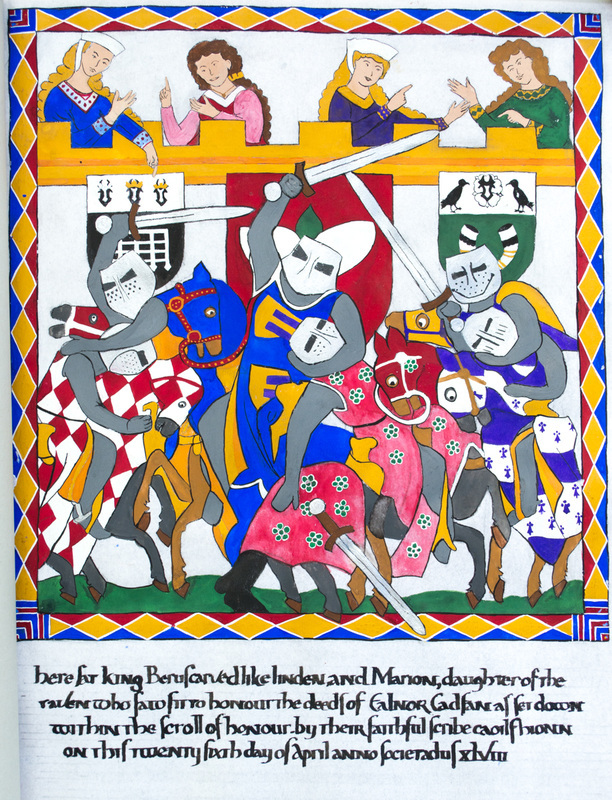 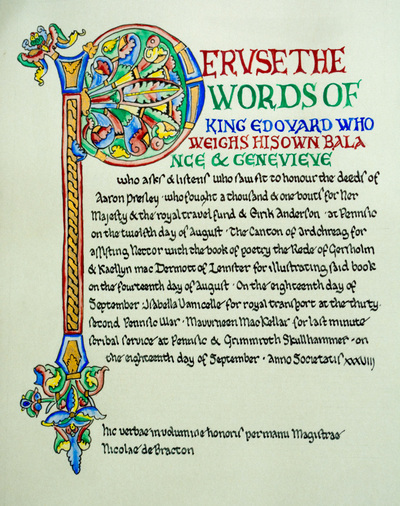 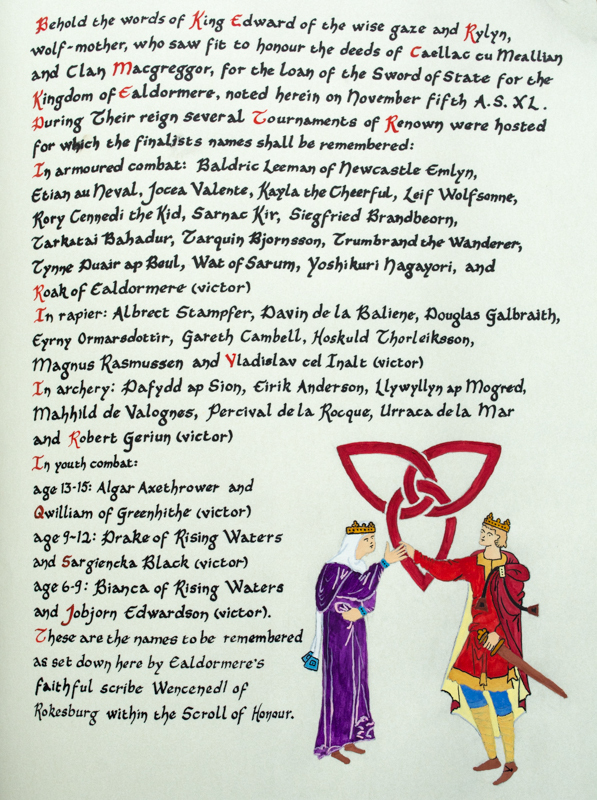 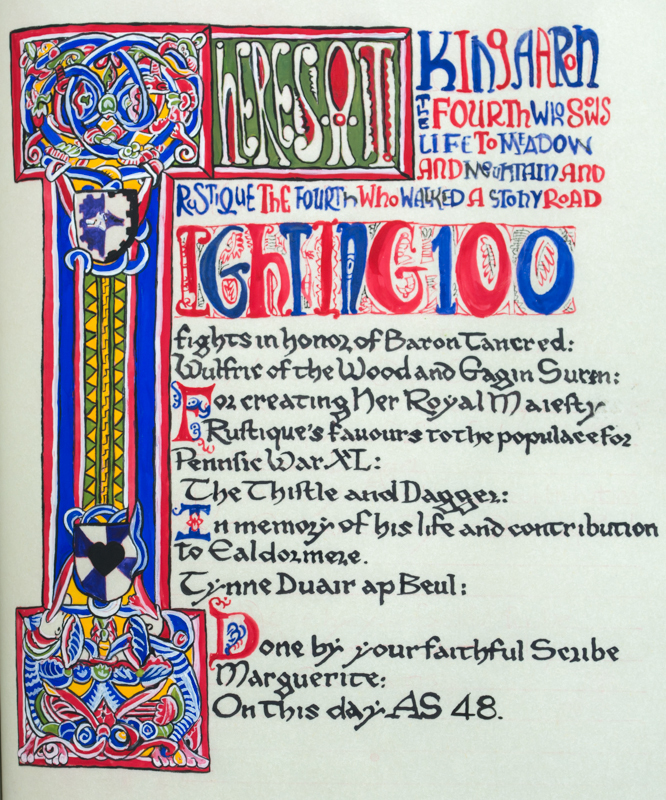 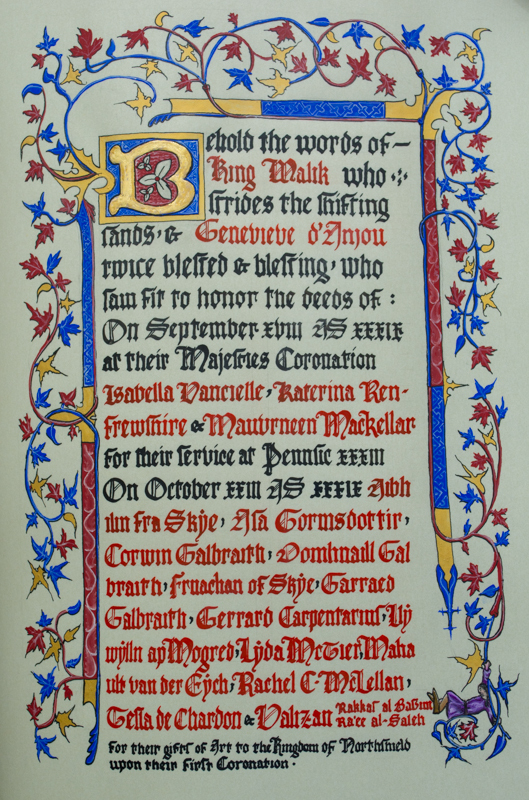 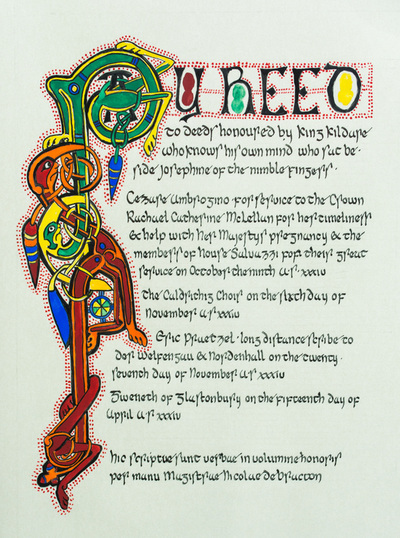 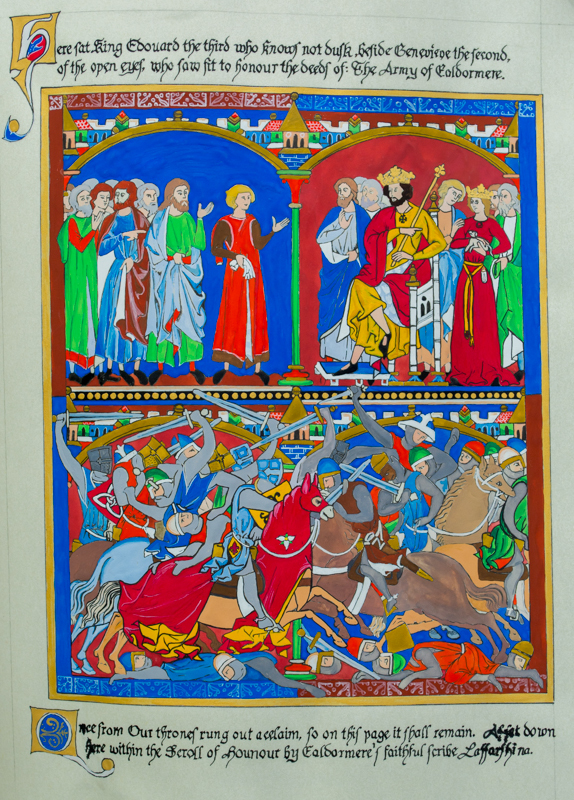 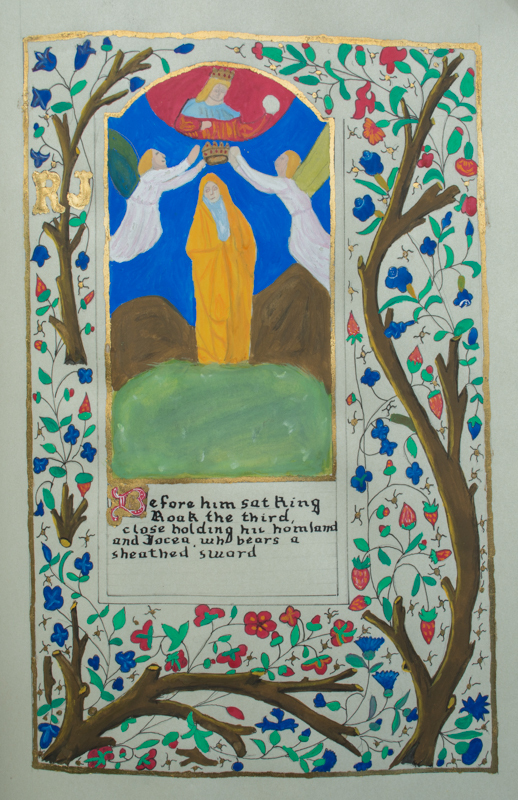 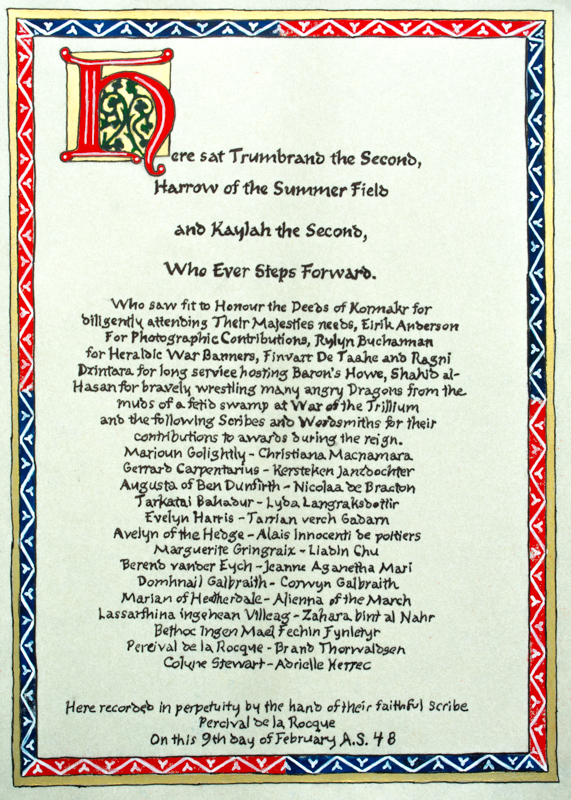 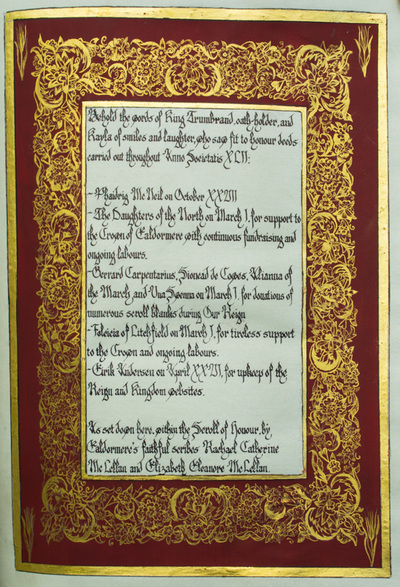 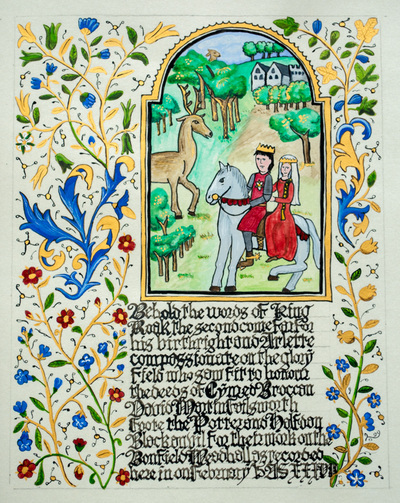 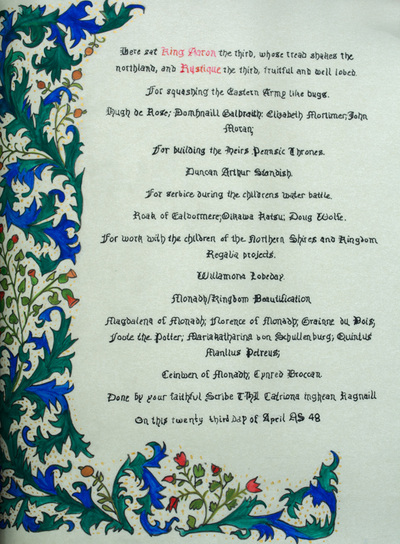 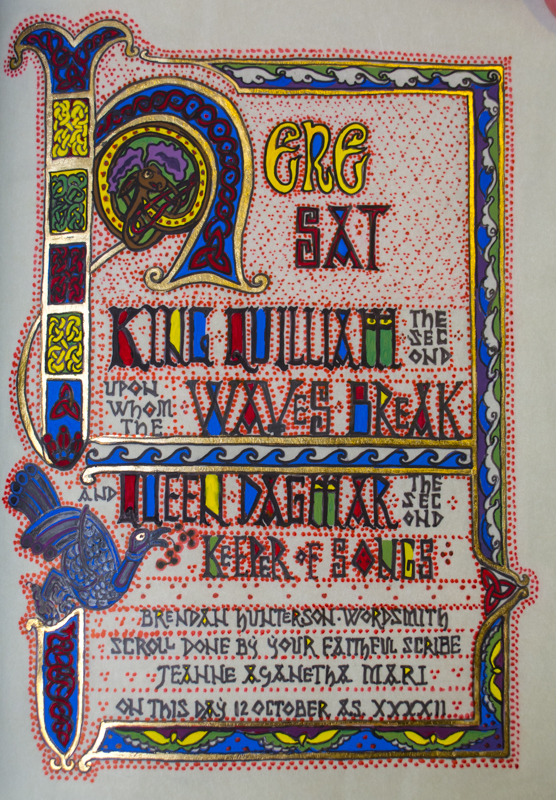 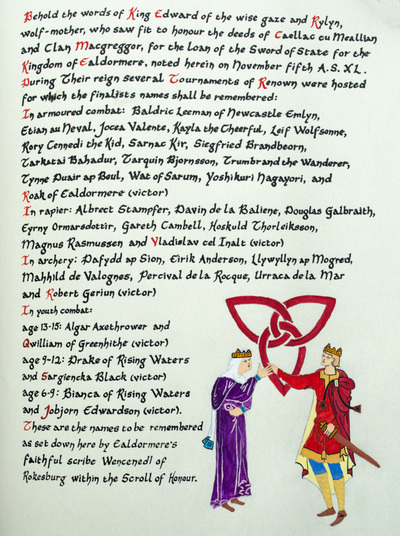 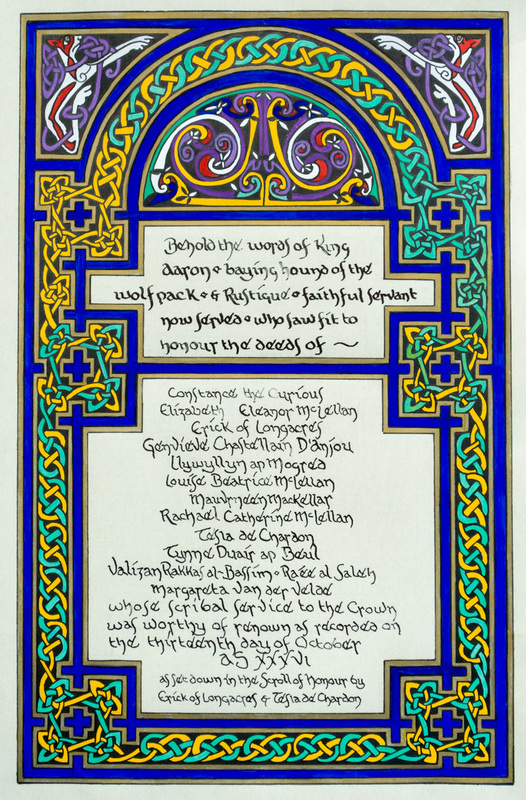 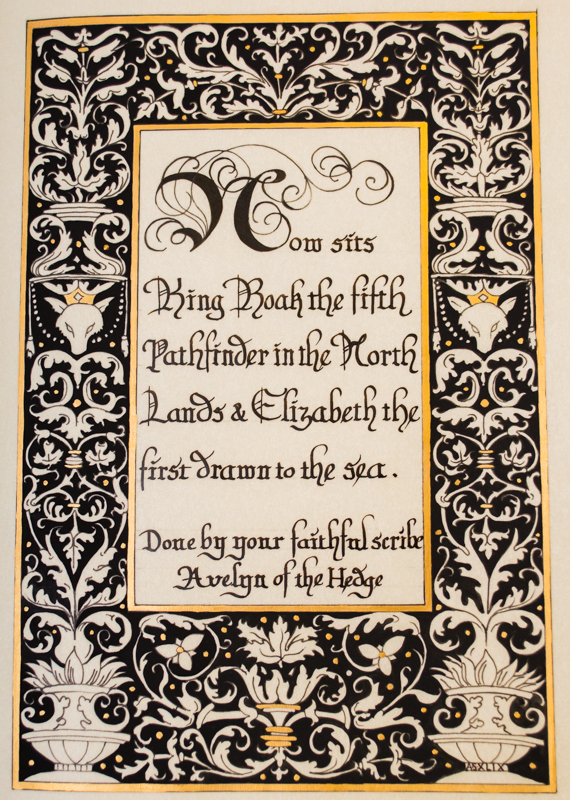 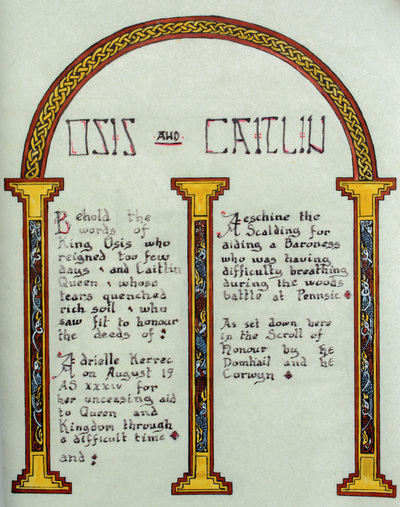 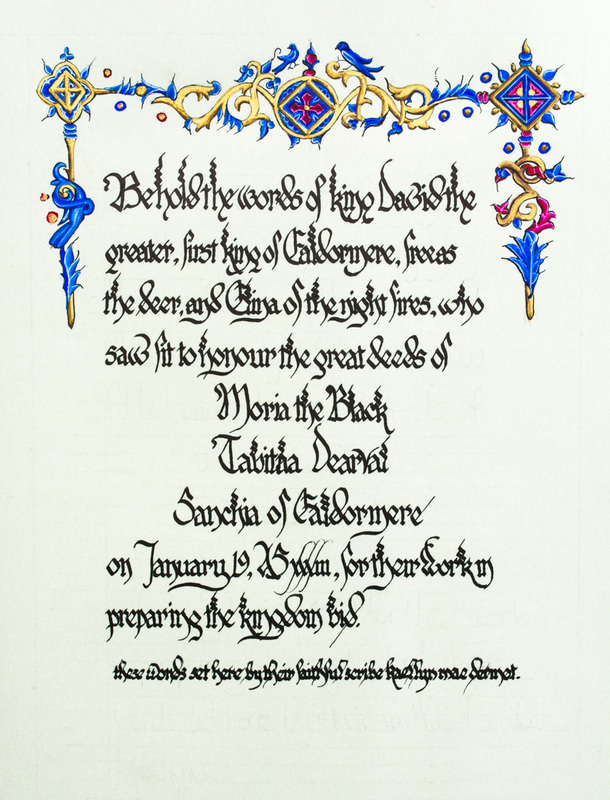 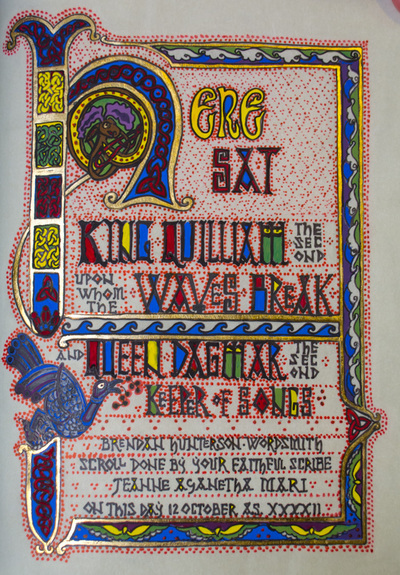 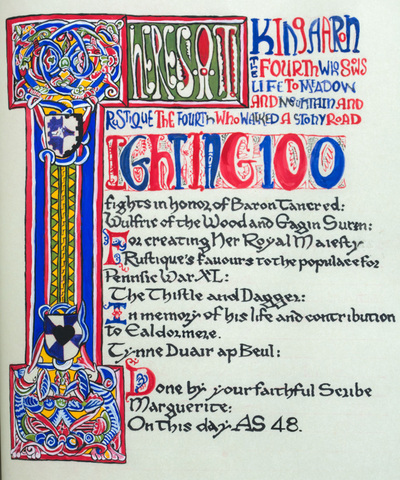 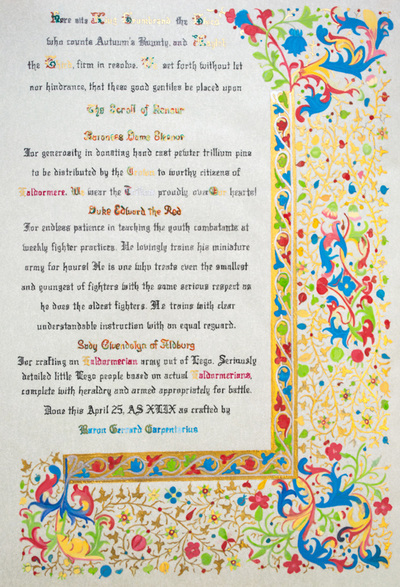 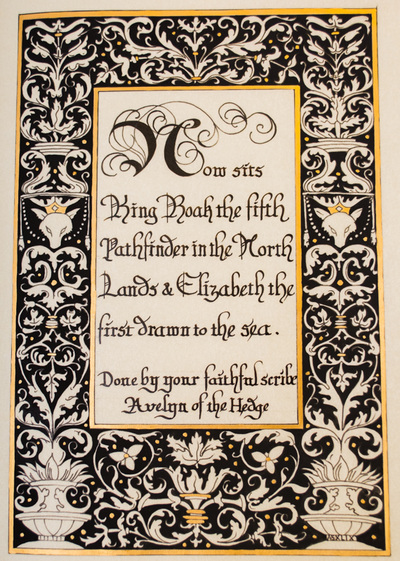 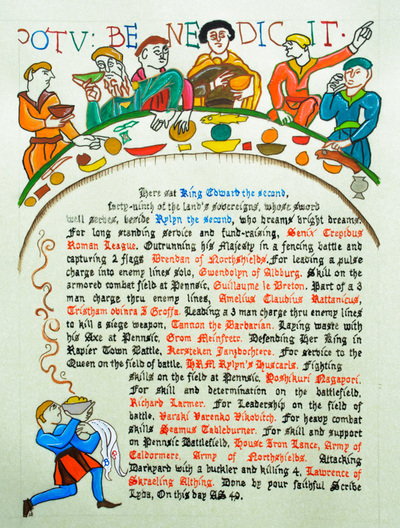 Scroll of Honour artwork is completed by individual artists in the Kingdom of Ealdormere. 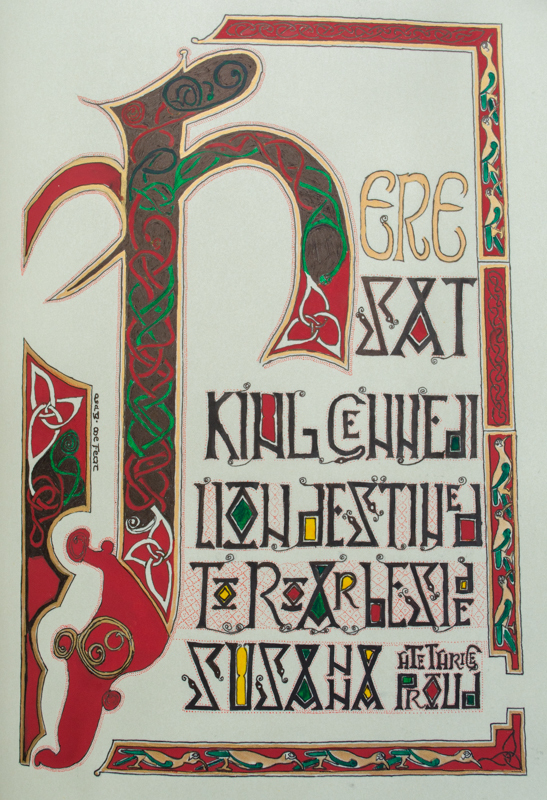 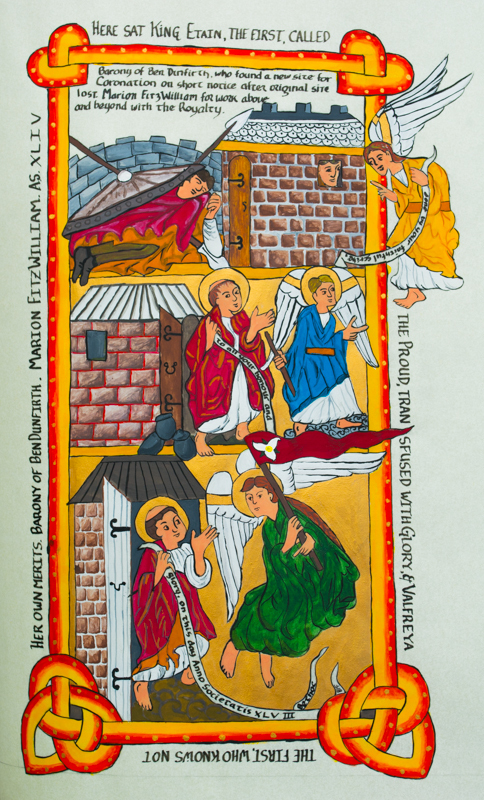 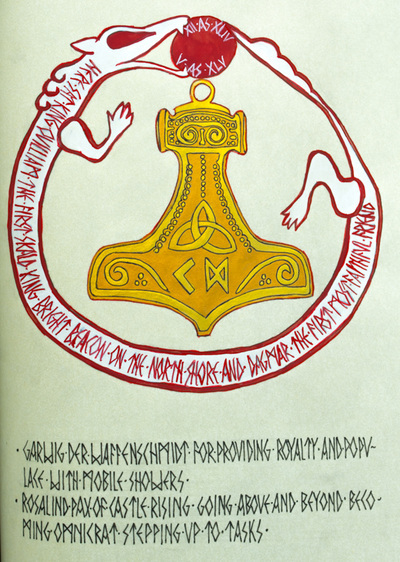 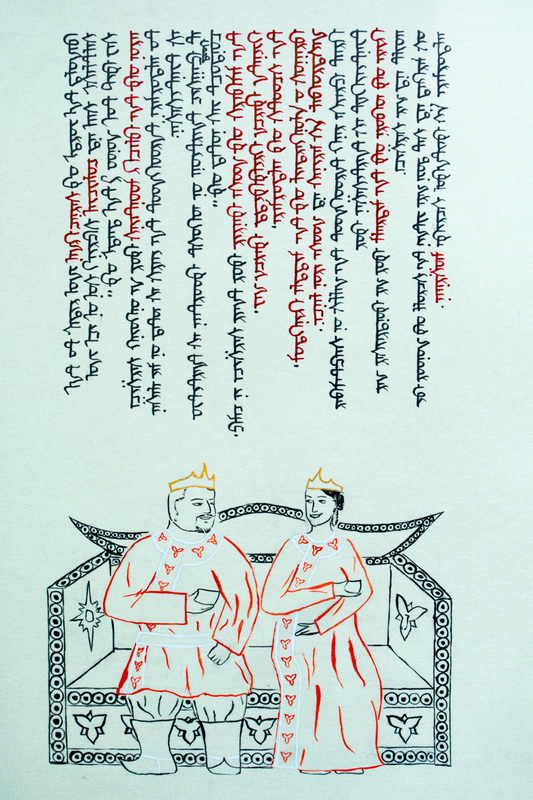 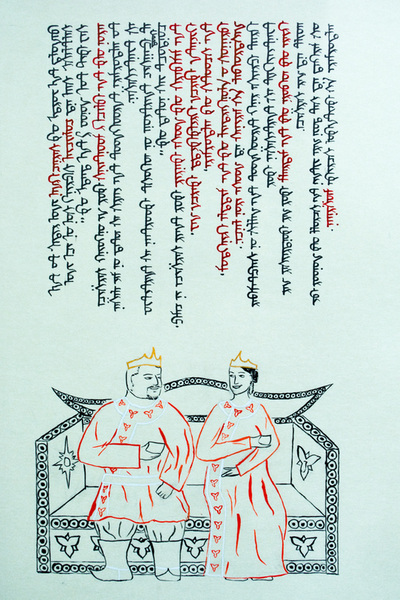 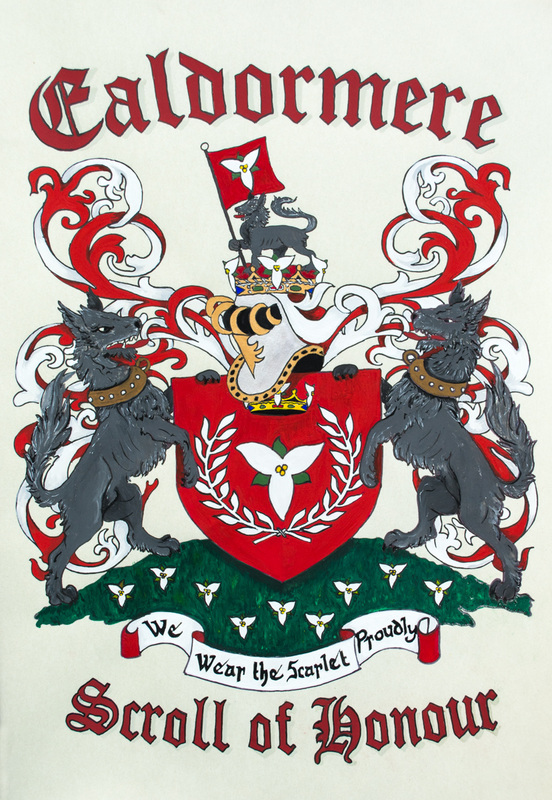 Ealdormere.ca hosts images of the scrolls but the images are not to be used elsewhere without express permission of the artist.